Right-wing rabble-rouser Glenn Beck recently announced that he wanted to "go Galt" and create a self-sustaining community, inspired by the philosophy of Ayn Rand's character John Galt from "Atlas Shrugged." The community will be known as Independence, USA. If and when it is completed, Independence will produce its own food and TV and film content. There will be homes, baseball fields and a theme park. Think: Small Town, USA, but with a Beckish vibe. 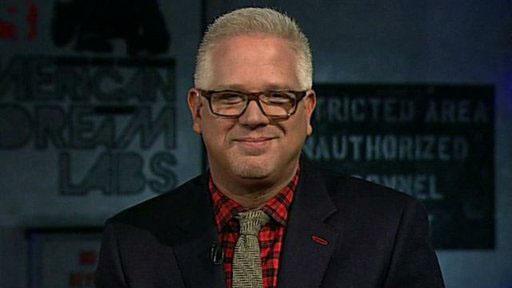 Beck announced his plans on "The Glenn Beck Program." The main entrance to the proposed community will be based on Ellis Island because, in Beck's words, that's how most Americans came to the country. There will also be a marketplace, but don't confuse it with your local mall. "There's not going to be a Gap here. There's no Ann Taylor. You want an Ann Taylor, go someplace else," Beck said in a video announcement. The marketplace, Beck says, will be a place for people to create their own businesses and learn from others. Other areas of Independence: The ranch (that's where residents will grow food and teach people how to grow crops), the media center (where Beck will film his show and where other entertainers will create movies, TV shows and documentaries), an Alamo-style mission for people to "gather and help others," a research and development laboratory and much more. The main point, Beck says, is education. "Before you send your kids to college," Beck said in his pitch video, "you come to us. And you spend a week with us. We're gonna tell them exactly, we will show them the truth, we will tell them what they're going to try to do, and we will deprogram them every summer, if you care." What's Beck's utopia gonna cost? Around $2 billion. Beck says he's willing to take steps to make his vision happen "one piece at a time." Just don't expect to find a Gap. You can watch Beck's pitch here.